Smartphones simply are ubiquitous in today’s world. If you are sitting on public transport, walking on the street or even sitting in a bar or restaurant, there is always at least one person using their phone. They are using it to take pictures, find locations, send messages or simply to speak with someone. Desktop used to be where all work on the Internet was done but now this has totally evolved. Today people work on laptops, tablets and even on their phones. We have seen the emergence of trends like ‘Bring Your Own Devices’ (BYOD) where people are using a multitude of their own devices at work. This has lead to many outlying issues such as security concerns etc but it has also brought with it higher levels of efficiency at work also. 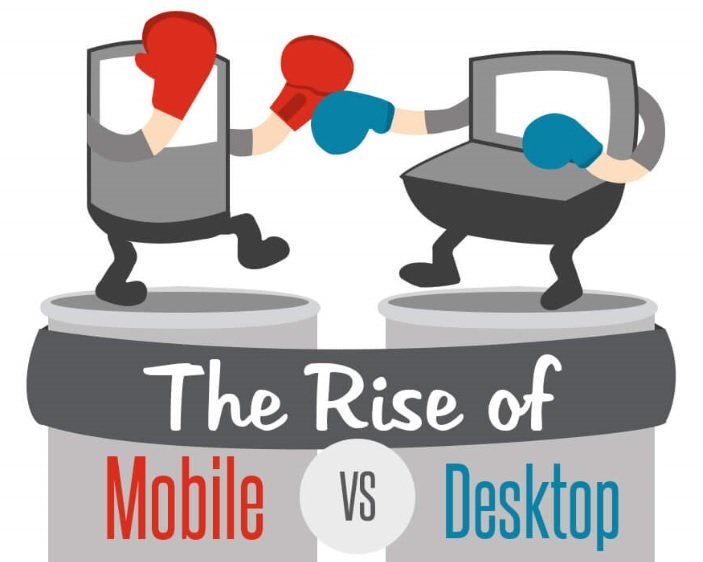 This info-graphic from ERS Ltd. examines the comparison of mobile versus desktop. It looks at how use of both has changed over recent years with some very interesting statistics. It also pinpoints what opportunities this can bring with it…check it out! Colm Stafford M Sc. is the managing director of ERS LTD. Over the past 30 years ERS has built a reputation for the provision of IT Solutions and Services to clients in Ireland and beyond.